The best team communication tool built for business. HipChat is free and HipChat Plus, including screen sharing, is free for 6 months for the first 1,000 listeners at hipchat.com/twist. Build it Beautiful. Celebrating 10 years of making it fast and easy to create an exceptional-looking website! Get 10% off your first purchase at squarespace.com/twist. 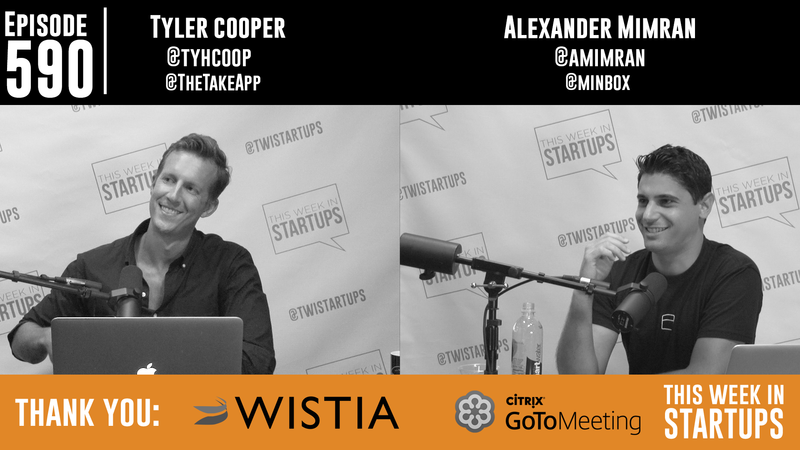 Today’s guests for this two-parter: Tyler Cooper, Founder & CEO of TheTake, a platform for identifying people and places in movies, and Alexander Mimran, Founder & CEO of Minbox, a cloud file-sharing and storage software. Both are graduates of the LAUNCH Festival, and Jason sits down with each to hear about their company’s progress since debuting.